During a separate conversation, months later, he asked me to help with implicit bias in his communication. He was concerned that, at times, he might be unintentionally offending patients. Only later did I connect these two statements, and begin to appreciate more deeply the seriousness of his request. You know unconscious bias exists within and beyond the medical profession. You know it has multiple and serious negative effects. You also know everyone has unconscious biases, and that these emerge through words and actions. And you want to do something about it in your everyday practice. I’m going to describe how one idea—a concept you might’ve heard before — can help you address hidden or unintentional bias in your language. I then give three ‘lessons learned’ and how you can apply them to your practice. Looking closely at your language is one concrete way to address unconscious bias. It’s unsettling to realize we may be offending people accidentally. But in the context of health care, the stakes are higher than some social tension. In terms of patient/provider relationships and health outcomes, the effects of these ‘slips of the mind’ can be dramatic. There is a concept addressing these ‘benignly motivated words,’ that has guided empirical study in clinical psychology and in education for more than a decade. Microaggression research challenges bias and inequity through drawing attention to, and working with, everyday language. Medical education, and clinical medicine, are taking notice. Microaggressions are “brief and commonplace daily verbal, behavioral, and environmental indignities, whether intentional or unintentional, that communicate hostile, derogatory, or negative slights and insults” (Sue et al, 2007) to members of marginalized groups. They are communicated through words and actions. Sue et al’s groundbreaking 2007 article focused on racial microagressions. Since then, microaggression taxonomies have been developed focusing on gender, religious minority groups, ability status, age, class, and LGBTQ people, with more on the horizon. Much microagression research focuses on the unintentional and unconscious manifestations of these brief, ordinary, negative remarks. Two of these forms include microinsults and microinvalidations. Both are subtle and demeaning; microinsults convey an insensitivity to someone’s identity, and microinvalidations minimize or negate someone’s experiences, as a member of a marginalized group. 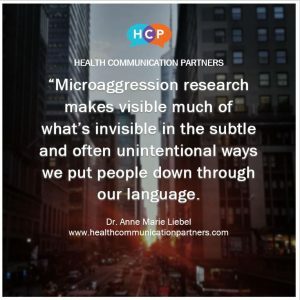 Microaggression researchers often collect statements made or heard by study participants, along with contextualizing data, and identify patterns across these occurrences. It is common to read of ‘themes’ that emerge in the data analysis. These are the first three themes from Sue et al in 2007. These all deal with racial microaggressions, like that suffered by the African American male physician. A White therapist tells an American-born Latino client that he/she should seek a Spanish-speaking therapist. You are not American. Assigning a degree of intelligence to a person of color on the basis of their race A school counselor reacts with surprise when an Asian American student had trouble on the math portion of a standardized test. A career counselor asking a Black or Latino student, “Do you think you’re ready for college?” All Asians are smart and good at math. It is unusual for people of color to succeed. Statements which indicate that a White person does not want to acknowledge race A therapist says “I think you are being too paranoid. We should emphasize similarities, not people’s differences” when a client of color attempts to discuss her feelings about being the only person of color at her job and feeling alienated and dismissed by her co-workers. Race and culture are not important variables that affect people’s lives. Your racial experiences are not valid. Again, this article focused on racial microaggressions, as did this validated measurement scale. As mentioned earlier, there are other microagression taxonomies. One study found that older women with urinary incontinence were targets of microaggressions in the health care setting. Microaggression is a useful concept to address unconscious bias in health communication. One reason is that, in microaggression research, the unit of analysis is often spoken language in a face-to-face encounter. (Sue et al’s 2007 research and original taxonomy was based on clinical communication between therapists and clients.) This makes for easy application of ‘lessons learned’ to the patient encounter. There are many lessons we might learn from microaggression research. I share three here, with ways to apply these lessons in your practice. Our language reflects what we think is normal, natural, or the way things should be. These are cultural norms that we may or may not be aware of. Microaggression research illustrates these through the identified themes. The analysis of language in macroaggression research reveals patterns of thought–often based on unexamined stereotypes–beneath people’s words. The next time you meet with a patient from a different social group, try to catch yourself in the act and be aware of your thoughts: what do you think of people in this social group? 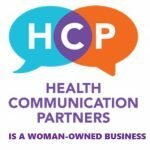 When you meet with the patient, what are you saying? How are you talking to this person? How might your conversational dynamics be based on biases and stereotypes? Microaggression research makes visible much of what’s invisible in the maddeningly subtle and often unintentional ways we put people down in our language. These subtle messages add up over time. Borrow someone else’s point of view: involve a friend or family member in helping you ‘see’ your language from another vantage point. (Someone with whom you can have respectful disagreements.) Or consider pairing with a colleague, and helping each other make visible what’s often invisible, and challenging each other’s taken-for-granted stereotypes. This can also be a valuable time to brainstorm alternative statements or phrases. Addressing unconscious bias makes people nervous in several ways. We can easily feel defensive about our language. Microaggression research challenges the assumption that biased language reflects negative attitudes toward people we don’t know (or like). Some of the data in microaggressions research is collected from interactions between family members or friends! So you don’t have to have a negative attitude toward someone to be engaging in microaggressions. It’s more about how we tend to speak from the cultural norms (sometimes stereotypes) we hold, many of which are unconscious. At some point in your life, it’s likely you have unintentionally offended someone you care about, someone in your family, someone you love. You may have assumed things that were untrue about this person or a social group they belonged to. Once you knew better, you did better. When you’ve corrected yourself, what made you change? What new information did you get? How did this impact the way you spoke to this person? Keep this in mind the next time you meet a patient from a different social group. You’ve been reflective about your assumptions and their relationship to your language before; you can do it again. I see providers confront discrimination and bias of all kinds. When it comes to language, it is remarkably easy to slip into autopilot. Microaggressions research offers some concrete ways forward. If you are interested in taking your language use seriously, why not start with your metaphors? 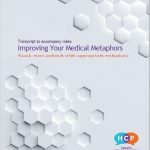 This workshop shows you how to break down the metaphors you use, understand their cognitive and affective aspects, and evaluate them in use. On demand, right on this site.